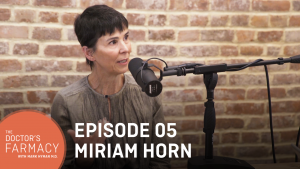 My guest on this week’s episode of The Doctor’s Farmacy, Miriam Horn, showed me how ranchers, farmers, and fisherman can be the greatest allies we have in our mission to protect the planet. 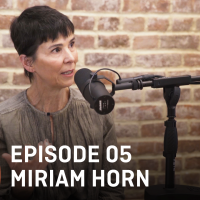 Miriam Horn works at the Environmental Defense Fund and is a New York Times best-selling author of one of my favorite books, Rancher, Farmer, Fisherman: Conservation Heroes of the American Heartland. What fascinated me most about our conversation is how Miriam brought into question our assumptions about how we can save the environment. We so often point to ranchers, farmers and fisherman, the people who cultivate and raise massive amounts of food as being the enemy. But Miriam showed me that in those places, we can sometimes find unlikely allies who could shape the future of our world forever and for the better. In our conversation, Miriam highlights a few of the men and women who are committed to restoring grasslands, wildlife, soil, and the ocean. We discuss how their deep love of the land drives the moral responsibility they feel toward not only protecting the land, but bringing it back to life. I hope this conversation inspires you as much as it inspired me. Check it out on iTunes or anywhere you listen to podcasts. If you enjoyed this episode or any of the other episodes of The Doctor’s Farmacy, please be sure to subscribe and rate the podcast on iTunes. And if you really loved the podcast, leave us a review!